The Ascot racecourse is one of the, for want of a better word, important racecourse to the country. 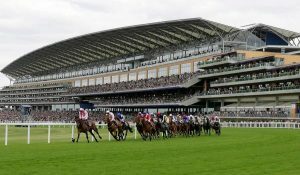 It hosts no less than 13 of the 36 annual group one races held in the UK and is home to such popular and longstanding races as the King’s Stand Stakes, Ascot Gold Cup, Queen Elizabeth II Stakes and Champion Stakes. Many of these races are steeped in hundreds of years of history. In addition to hosting such prestigious individual races, the Ascot racecourse stages October’s British Champions Day each year. This is a world class event launched in 2011 and has featured a who’s who of horse racing talented ever since. It got off to a seriously impressive start when Frankel won the Queen Elizabeth II Stakes there in its opening year. The following year he did a victory lap of sorts, winning his last ever race, the Champion Stakes, before retiring from racing undefeated. The five races that make up British Champions Day are: British Champions Sprint Stakes , British Champions Long Distance Cup, Queen Elizabeth II Stakes and Champion Stakes. All but the Long Distance Cup are Group One races. As high class as the relatively newly minted British Champions Day may be, it still can’t quite compared to the real jewel in the crown though, which dates all the way back to 1711, namely Royal Ascot. The Royal Ascot festival and indeed the racecourse itself was founded by Queen Anne that year and is to this day attended by a member of the Royal family each year. They take their place in the ‘Royal Enclosure’. With 300,000+ attending Royal Ascot over the five days, those on course and watching at home get to feast on group one racing action and numerous other ultra competitive matchups. Prize money for the entire event is well over £6 million with a Purse of £750,000 for the Prince of Wales Stakes alone. The Ascot Gold Cup is another highlight for many and that takes place on the ever popular Ladies Day. In part due to its Royal links, the course has popular cultural significance, and has featured in movies as well as being the subject and setting of songs. My Fair Lady’s ‘Ascot Gavotte’ is one example of this. The Doncaster racecourse is a racecourse in Donaster, South Yorkshire, UK. 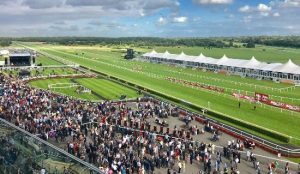 It’s home to two of the most treasured group one races in British racing, the St Leger Stakes and the Racing Post Trophy (now known as The Vertem Futurity Trophy). The course is 1 mile 7½ furlongs and both flat and jump racing take place here. Doncaster has long been a hub for racing in the UK, with records as far back as the 16th century showing that horse racing took place there. The earliest race of note though has to be the Doncaster Cup which was first run in 1766 and continues to this day. Its long history saw it become part of the Stayers’ Triple Crown (in combination with the Goodwood Cup and Ascot Gold Cup), previously won by Kauto Star. Colonel Anthony St. Leger founded the (you guessed it!) St Leger Stakes in 1776. It’s the oldest known classic horse race, and is run over a distance of 1 mile, 6 furlongs and 115 yards in September of each year. The purse for the race, which is for three year olds, is close to £750,000 and winning it certainly marks out a horse as something special. The Vertem Futurity Trophy (aka Racing Post Trophy) is the other group one race held at Doncaster racecourse – in late October each year. This race, for two year olds, takes place over a distance of one mile, and the inaugural run took place in 1961. Both Lester Piggott and Pat Eddery to this day share the best jockey record with five wins a piece. Henry Cecil is leading trainer with ten wins to his name. Three legends of the sport, still looming large. Five winners of the Vertem Futurity Trophy, including Reference Point and Camelot, have gone on to win the Derby the following year. This surely speaks to the quality of those that take part. 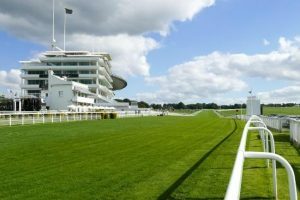 The Epsom Downs racecourse is a flat racing venue situated in Epsom, Surrey and is home to the Derby meeting, which includes three of the most highly anticipated group one races in the racing calendar, the Oaks, the Epsom Derby and the Coronation Cup. The Oaks – a race for fillies – and Derby are both races for three year olds and hold a special significance in UK racing due to the history of the events and prestige that comes with winning them. Both races are part of the five British Classics, which also consist of Newmarket’s 1000 and 2000 Guineas as well as the St Leger Stakes. No horse has won all five races. The Derby (run over a distance of 1 1/2 miles) also forms part of the Triple Crown of racing which involve winning the 2000 Guineas, Epsom Derby and St Leger Stakes. This is of course more doable than winning all five British Classics but still a rare feat, as attested to by the year it was last won, 1970 (by Nijinksy). Let’s also not forget the Fillie’s Triple crown (1,000 Guineas Stakes, Epsom Oaks and St. Leger Stakes), itself only won nine times, last in 1985. The gist is the both the Oaks and Derby are at the heart of UK flat racing, with those at the top of their game striving to win. Just look at recent winners of the Oaks for instance, Minding in 2016 and Enable the following year. With such huge races being hosted here, it’s no surprise that the racecourse has an equally large capacity – 130,000. The Queen and family are known to have attended the Derby meeting on many occasions due to its Royal connections. Racing has taken place at the course since the 1700’s.